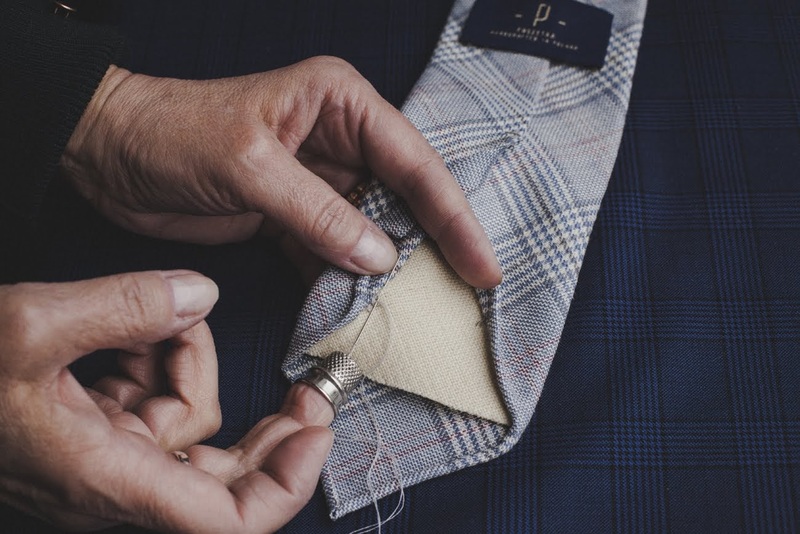 9 years of experience in the tailoring craft allowed us to compile a unique know-how about hand sewn ties. keeps it's form and usefulness when in use. We encourage you to take a closer look at the things that make our products well known in Poland and eagerly bought abroad. 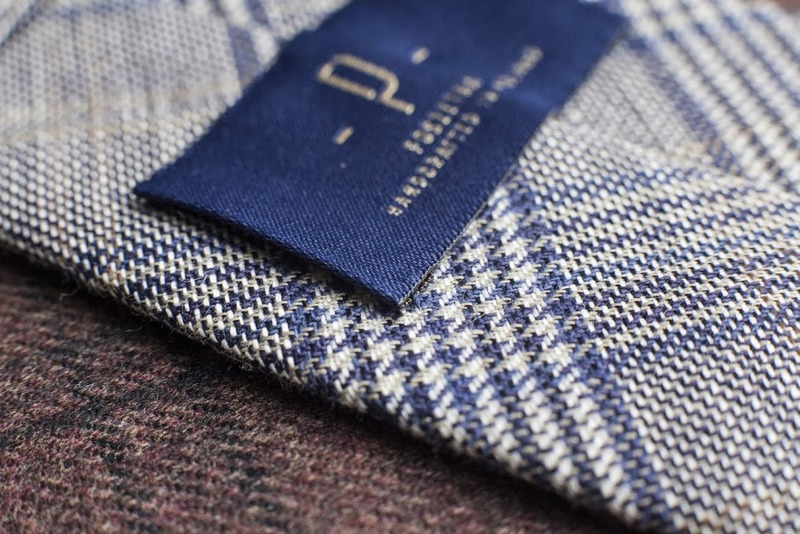 working with other well-established men's fashion titans such as Drake's or Turnbull and Asser. - hand sewn label and bar tack. Inside the tide lies it's soul; interlining, which determines how easy the tie will be to tie, and it's springiness. 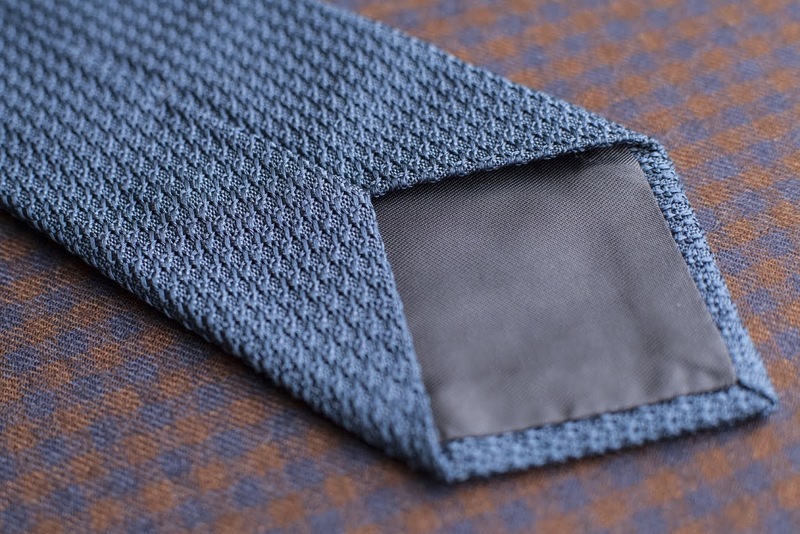 We use italian two-fold interlinings, the same ones you can find in the best ties in the world. 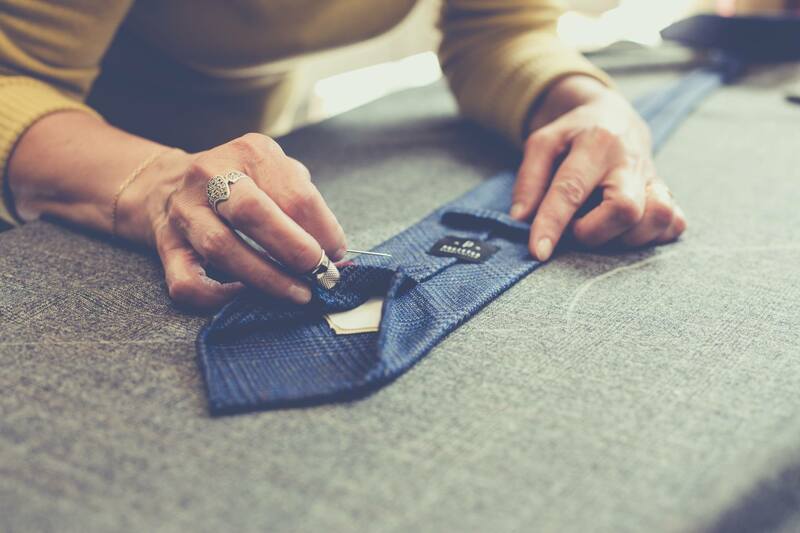 An unique fastening of the interlining to the outer fabric allows us to secure the construction and make the interlining more stable. 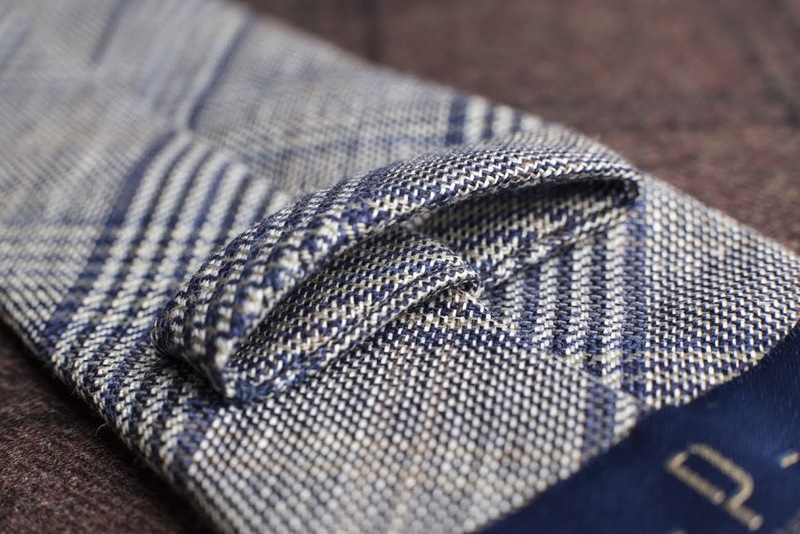 3 fold - the most popular variant, created by folding the main fabric three times. 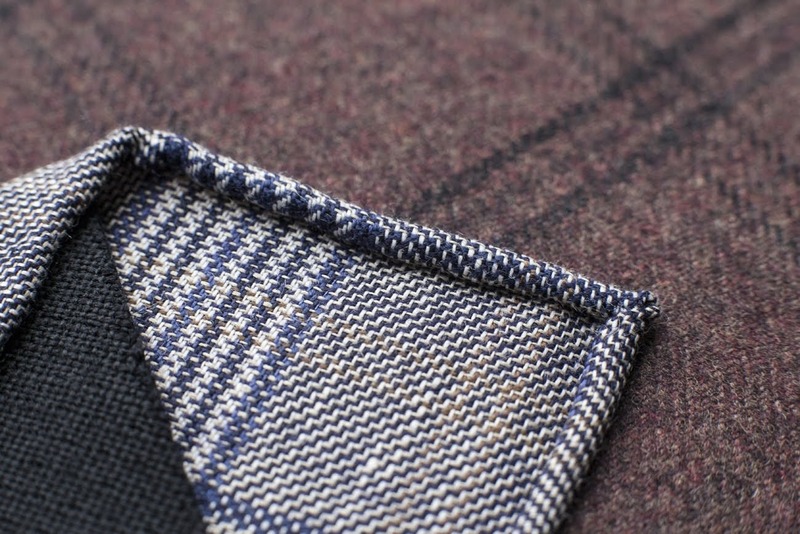 We produce two kinds, self tipped and lined with viscose. 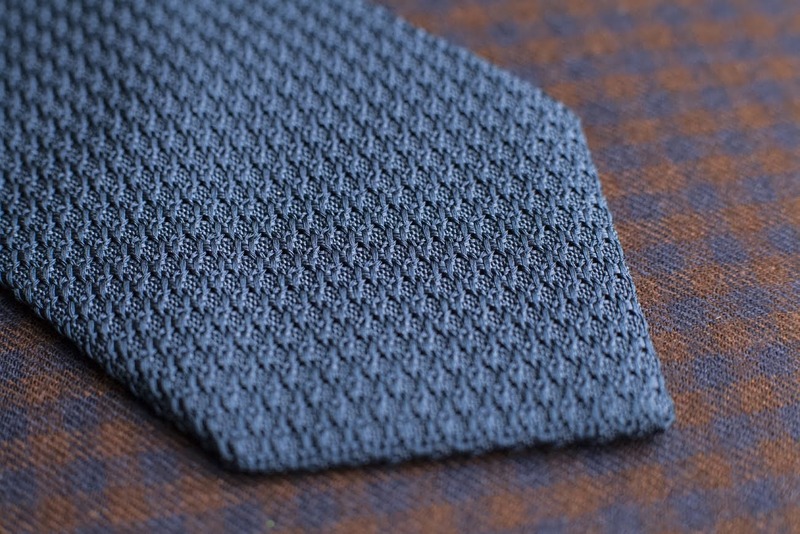 Untipped - a tie requiring the most precision to make. 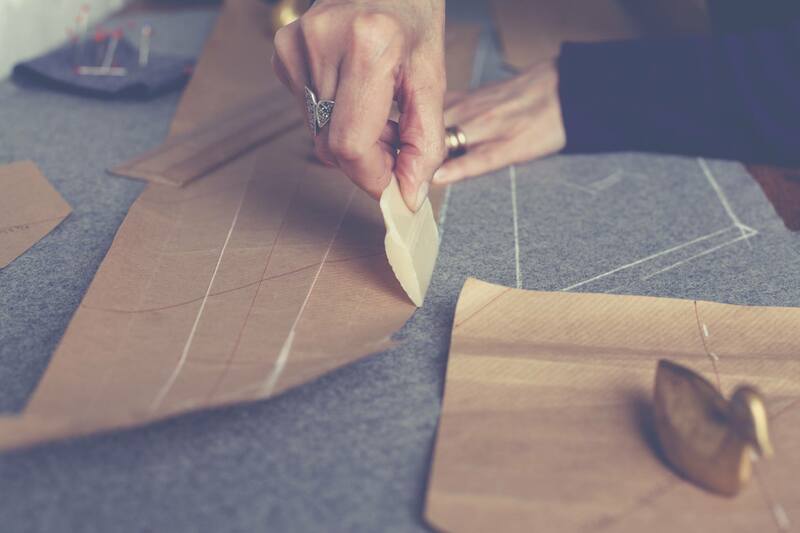 Amazes the user with it's finish made by hand and lightness. Recommended for an everyday outfit or to wink at the world of sartorial fashion. 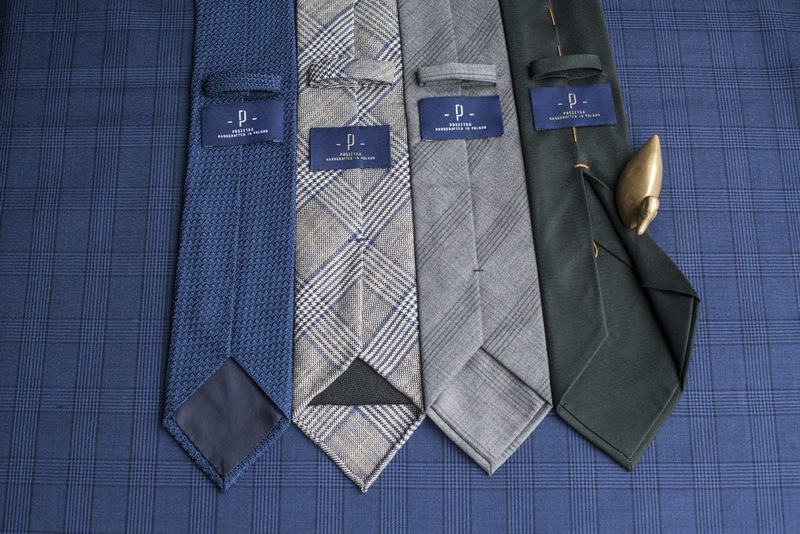 6 fold - created by folding the main fabric six times, a six fold tie is a tie for real connoisseur. 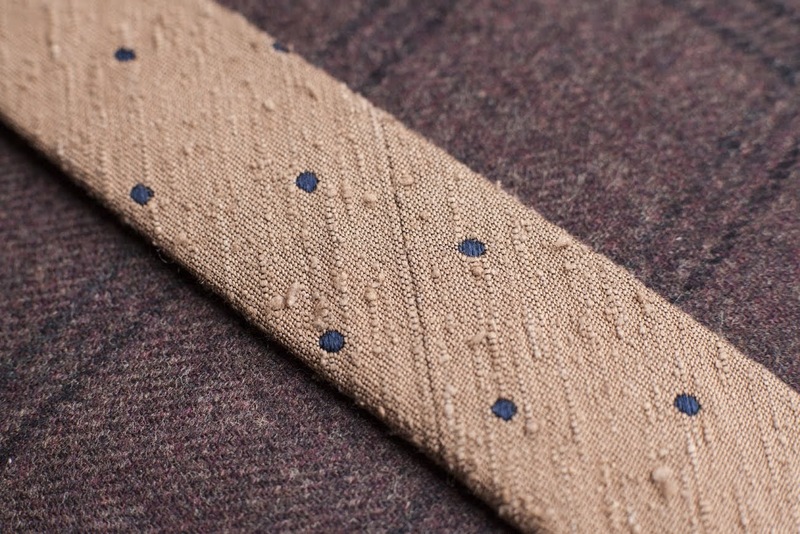 When compared to a normal tie you can see that it's comprised of as much as two times more of the same fabric. The amount of the fabric used, natural springiness and it's precise sewing and hand finish make it an elite and luxurious product.